I’m sure the experiences I talk about in this article will come as no surprise to those who have experienced it and seen the life-long impact of Dyslexia. It’s written in mind for those who would like to influence key decision makers to provide holistic support and increase the response time to providing intervention. As part of the CodeBreakers pilot study in schools, I’ve been given permission from Guy Claxton, author of the Learning Power Questionnaire (LPQ) to use the ‘quiz’ with the children participating in the study, to evaluate their views of themselves as learners, before and after receiving CodeBreakers intervention. One of the statements which must be graded from 1-5 is, “I’m happy to stick up for what I think in a discussion”. I was surprised when my mature student said he would have rated himself with a very low score, prior to receiving 1:1 tuition, yet I’d describe him as ‘a fighter’ and able to stick up for himself. He told me that he’d feel more likely to ‘fight his corner’, as his confidence had increased, since attending private tuition for reading and spelling. I’ve observed the confidence grow, with the students of all ages, of those I see in my 1:1 setting, using CodeBreakers. It’s very hard to measure the changes of the ‘soft skills’, such as a different approach to learning, working independently, no longer requiring some of the safety behaviours they used before, not afraid to tackle a new piece of work or new sound, generally identifying for themselves that they can do it, leading off on a game and being able to explain the rules, being able to receive feedback without feeling anxious, being able to lose at a game without displaying anxiety, no longer using distraction techniques to avoid completing a worksheet, knowing they have skills they can transfer to new learning, willingness to have a go at something new, the ability to stick at it, even when it’s hard, having more pride in their work and understanding how they learn. All these things describe anxiety in learners. In a recent article by ‘It Must Be Mum’, read more here she talks about the ‘barriers to learning’ which aren’t’ always tangible or come with a specific label. And I am sure the list continues. The fact is, not every child has a ‘label’ to tell us why they struggle to learn and progress at the same rate as their peers. Some get diagnosed others go completely under the radar and go all through school with no diagnosis. Some children receive intervention, others do not. However, what we do see is children who have a great deal of anxiety related to learning; from difficulty in attending school to fear of tests, school work and homework. These children know they are struggling. At a very young age they are able to compare themselves to others. They know who is a ‘free reader’ and who is on which reading book series. Unfortunately, for too many the anxiety related to learning continues through school and into adulthood. They state that, “Some unidentified students may present as lazy, disruptive, or lacking in academic potential, while others manage to deploy enough energy and intellectual ability to hide their difficulties and pass along with their disability undetected. However, without effective support, neither group of students can achieve their full potential”. I recall some time ago attending a webinar by Dr Amanda Kirby and we were asked to consider, “When does a child appear on the ‘radar (at school)’, what is it a result of and at what age?” This has always stuck with me. As many children are identified as needing ‘intervention’ through either ‘behaviour’ or lack of literacy development. People with Dyslexia generally find literacy skills difficult. But keep in mind the student who manages through school and doesn’t get a diagnosis until they reach university. Education week reports the 2016 study by neuroscientists at the Massachusetts Institute of Technology may help to explain why dyslexia, typically considered a reading disorder, also creates learning obstacles in other academic areas. The MIT researchers discovered that the part of the brain that is used to learn new things is diminished in the dyslexic brain. Using MRI scans, researchers observed that people with reading difficulties struggled to recognize objects and faces too, tasks that have nothing to do with reading. The researchers hypothesize that we associate this struggle only with reading because reading is a particularly difficult thing to learn to do. Consequently, that weakness is more easily observed. However, I digress…. And I’m not about to debate what dyslexia is! Education Week describes dyslexics are often exceptional thinkers. “Outside of school, one does not have to look far to find examples of dyslexics as leaders in diverse fields such as science, politics, medicine, business, law, and the arts. More often than not, those professional success stories come with an equally exceptional story of school struggle. Even dyslexic superstars report that their early years of failing and feeling stupid in school, left psychological scars too deep to be vanquished by their adult success. Yet, many also confirm that identifying dyslexia as the root cause of their learning struggles was transformational and liberating”. The reason I’m in this field of work is because of my passion and desire to support individuals, of all ages, maximize their potential. I’ve seen my own father struggle and avoid scenarios, life choices, leisure pursuits, work choices because of Dyslexia. He refused to even start a vocational art course because it required him to complete a form, only his name and address, he wouldn’t use a mobile phone at work and the introduction of computers sent him in tail spin of anxiety. I learned, as I was a child, he suffered greatly with anxiety as he knew he would struggle to help me read and write at school. I’m sure my mature student won’t mind me sharing his story. As a child of the 70s/80s with no provision for support he has spent years feeling anxious about learning. He now has simple desires from his 1:1 sessions with me, to read the menu and choose something different, to sit in a café and read a book. Yet as a mature student he has shown immense tenacity by gaining a degree to progress his career. I don’t doubt that some of that fight and battle to succeed is fueled by years of anxiety related to learning. But not all learners can turn that anxiety around. And let’s consider, if this student had received the intervention at a younger age…who would he be now? My colleague and co-organiser of SEN Jigsaw, John Hicks, experiences dyslexia first hand with his own family and this has led him to study to become a neurodiversity coach. He’s now been invited by the BDA to compile a survey on the Human Cost of Dyslexia. The purpose of this article is not to apportion blame for the lack of intervention or diagnosis which many individuals experience but to raise awareness of the life-long impact, not only with regard to education but the social choices, life choices and impact on relationships, which Dyslexia can have. There are many nurturing settings with fantastic head teachers, teachers and TAs. I know from my own experience of working with the schools who are implementing CodeBreakers, they are open to understanding and implementing interventions. I don’t know how we solve the problem. However, I know we need more training for all on both awareness and interventions, we need interventions to be implemented quicker without having to wait for a diagnosis, we need interventions which target the needs of individuals with specific learning difficulties rather than more of the same. But maybe this is my Dyslexia utopia? I’ve spent many years learning more about Dyslexia and co-existing SPLDs and as a result met some fantastic practitioners within the field. 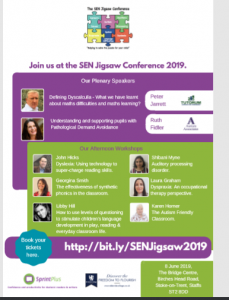 As a result, together with John Hicks we bring the group of professionals together under one roof to share information and best practice at SEN Jigsaw. If you’re a professional, passionate about helping support individuals with Dyslexia and other SPLDs or are you a parent who needs to know more and specific learning difficulties? You’ll certainly find like-minded people at SEN Jigsaw in June 2019, we’d love you to join us. Click here to learn more. How drawing can improve reading and spelling? Do games have a place in learning to read and spell for students with dyslexia? 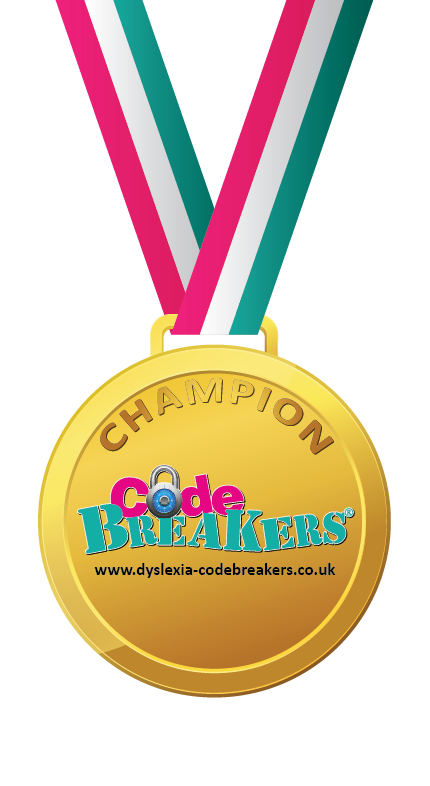 CodeBreakers- Dyslexia Programme, Tuition & Assessment- Sen/Spld Support CodeBreakers- Dyslexia Programme, Tuition & Assessment- Sen/Spld Support shared a post. Can drawing help reading, spelling and study skills? Yes!!! CodeBreakers- Dyslexia Programme, Tuition & Assessment- Sen/Spld Support CodeBreakers- Dyslexia Programme, Tuition & Assessment- Sen/Spld Support shared a link. Want students to remember something? Ask them to draw it. Keep up-to-date with everything CodeBreakers when you sign up to our newsletter. You have Successfully Subscribed! Please check your email and confirm your subscription, thank you.